Trade-in Camera will be collected at point of purchase of the Trade-up Promotion. • Trade-in DSLR (Digital single-lens reflex camera) camera or Mirrorless camera must be in working condition and must be accompanied by charger and battery. • Any external media shall be removed from your DSLR or Mirrorless Camera. • Any and all data within your DSLR shall be deleted. • Limited to a maximum of one (1) Trade-in Camera for every Trade-in Promotion purchased. Any and all title to your DSLR will pass to Expandore when you purchase a new camera based on this promotion. This promotion is only valid from now to 10th Jan 2019. 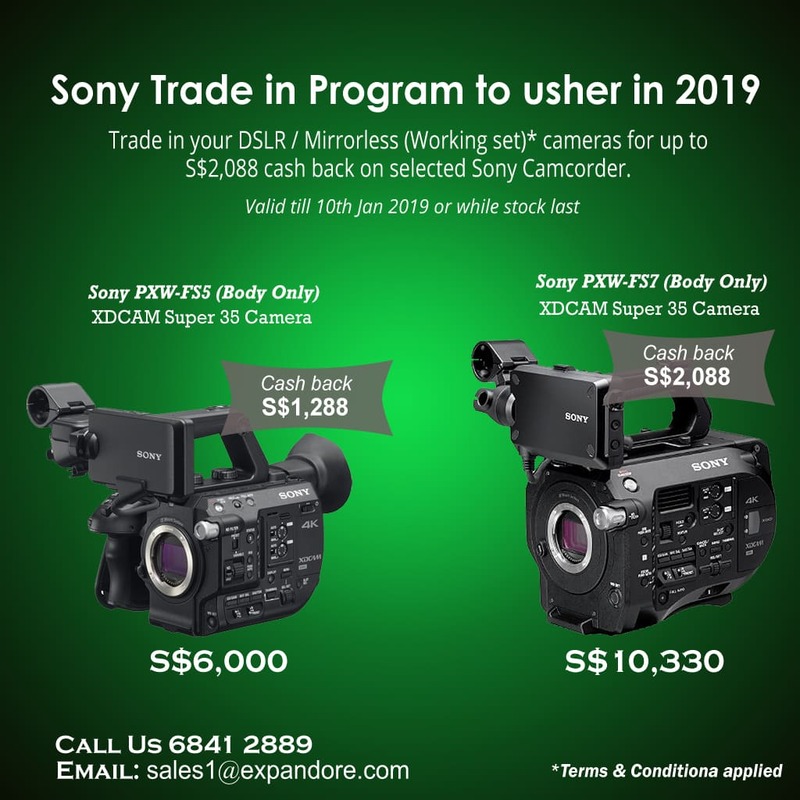 This promotion is applicable only for the purchase of Sony PXW-FS5 (body only) XDCAM Super 35 Camera and Sony PXW-FS7 (body only) XDCAM Super 35 Camera during the promotion period. Any additional purchase or individual purchase of camera body or lens will be at prevailing promotional price of a single unit purchase. No negotiation of the amount of cash back will be entertained. Trade-in is available at Expandore. Expandore reserves the right to reject any trade-in at our own discretion. Expandore Electronics Pte Ltd reserves the right to vary, delete or add to any of the terms and conditions from time to time without prior notice. Cartoni is constantly innovating. And this year at NAB 2019, Cartoni has showcased to the world a series of all-new products, to help you. Find out about the new Steering P70 and how it compares with other products. This product has been officially launched on Tuesday, February 26 with media advisories and global advertising. It is available for purchase. Producing a broadcast from a stadium or arena is a large undertaking. 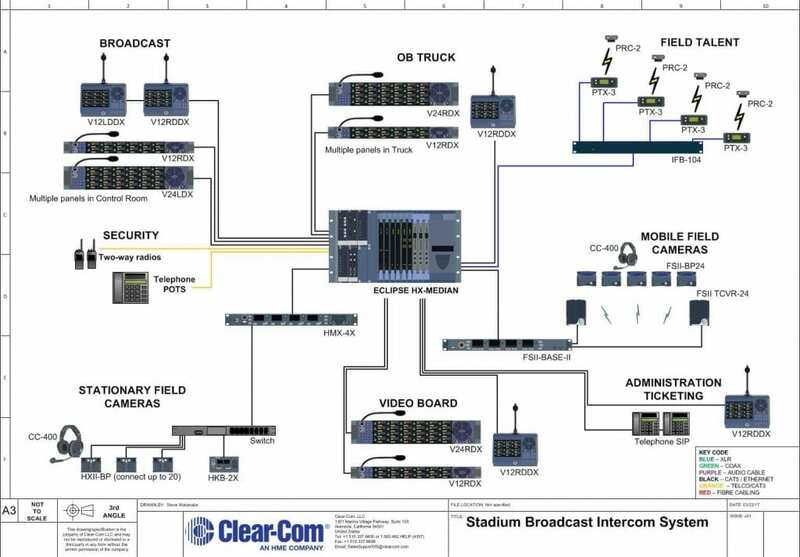 Connecting staff from all endpoints in the stadium is critical to delivering a seamless sports production. A Digital Matrix frame connects staff on panels, wireless/wired devices, and radios/phones through multiple ports. 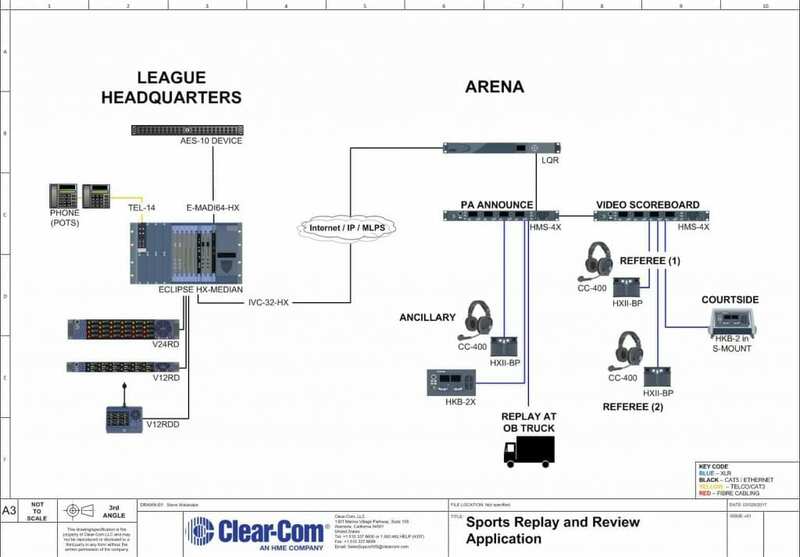 For example, the Control room easily can direct stationary field cameras and field talent to a specific area for sideline interview – all while video board operators manage game stats and the video feeds. Eclipse-HX Median is a 6RU digital matrix frame. V-Series Panels connect the truck, control room and video board directly to the Median. Stationary positions leverage HelixNet digital partyline, while mobile users utilize FreeSpeak II wireless system. Technical Advances in Sports Broadcast have brought about the ability to review Umpire or Referee infraction and scoring calls in a game or match. Secure real-time communication between officials in separate cities or countries can be made with Clear-Com Intercom over IP products. Officials at League HQ have video screens and Panels at multiple stations. A matrix frame connects the respective panels through an IP device to a second IP device at the respective arena. Officials on Partyline systems then discuss calls with HQ, in real-time, until the correct call is determined. Clear-Com LQ devices are used to connect V-series Panels, via Eclipse Matrix, to digital or analog partyline main stations, beltpacks and speaker stations at the local arena. To keep all staff abreast of information, partyline ties the Referees, PA, Video Scoreboard and OB Truck together. At sports stadiums all over the world, there is an expectation that the entertainment in the building is equal to the game itself. The carefully coordinated fan experience can start with an aircraft flyover and continue with giant video screen games and crowd shots – all interlaced with the action on the field. Digital partyline connects staff on wireless/wired beltpacks throughout the stadium. For example, Control easily can direct mobile field cameras and field talent to a specific section for fan promotion – all while video board operators manage game stats and video feed of the section promotion. The HelixNet digital partyline uses a LAN to carry communication over network switches to individual HXII-BP beltpacks. Over a 4-wire connection, additional mobile staff can move with wireless BP-410 beltpacks connected to DX-410 base station. Analog partyline connects staff on wireless/wired beltpacks throughout the stadium. For example, Control easily can direct mobile field cameras and field talent to a specific section for fan promotion – all while video board operators manage game stats and video feed of the section promotion. The Encore MS-704 main station uses two-wire to carry comms to one and two-channel RS beltpacks at positions throughout the stadium. A 2-wire connection to the BS-210 gives mobile field cameras and staff wireless beltpack capability. Many college campuses may have a Control room at a stadium, but will utilize Fly-Packs to remote to other fields or arenas and cover additional sports. 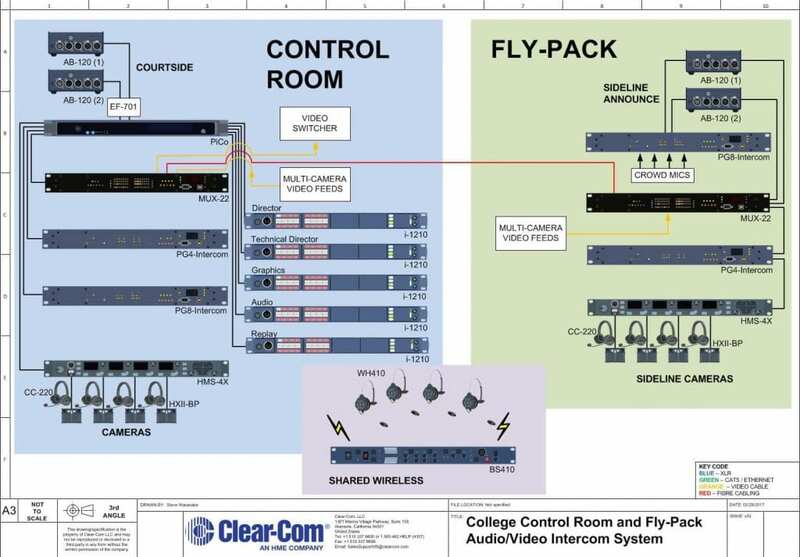 The Fly-Pack uses a fiber run to tie back to the main Control room for broadcast functionality. 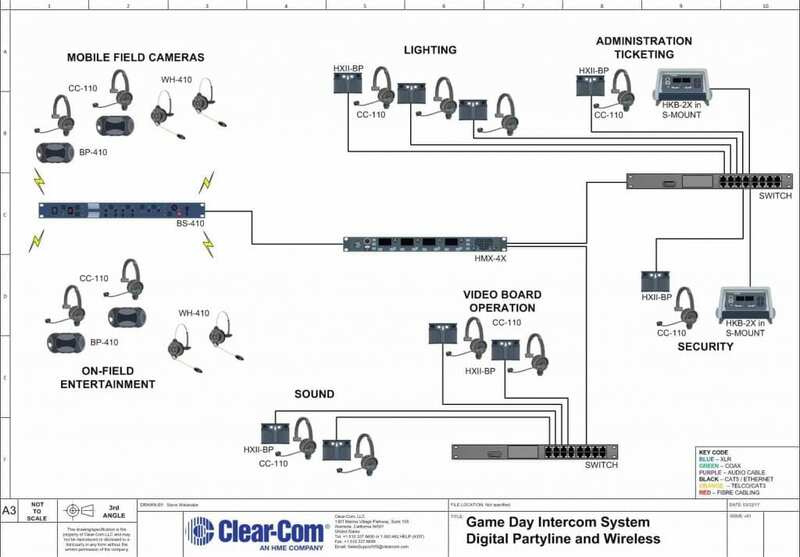 A game at the main stadium has a Matrix as a hub for staff on Panels, and connects Cameras with digital partyline beltpacks. Announcers use an analog console with intercom, IFB and Mute. The Fly-Pack uses the same equipment, but leverages the production staff in the Control room. A wireless system is deployed as necessary. An Eclipse PiCo ties production staff on i-panels in the control room to field staff on HelixNet beltpacks. The Fly-Pack uses a MUX-22 to deliver audio/video back to the control room over fiber. In both scenarios, AB-102 Announcer box is used for sideline commentary. This promotion is only valid from now to 15th Jan 2019. Panasonic AU-EVA1 Super 35mm 5.7K Sensor Compact Cinema Camera during the promotion period. Any additional purchase or individual purchase of camera body or lens will be at prevailing promotional price of a single unit purchase. Because it is now impossible to announce a new electronic device without having it leak ahead of time, GoPro’s next camera was spotted on a video display in Best Buy over the weekend. GoPro Hero 7 was expected to officially reveal the camera before the end of the month. 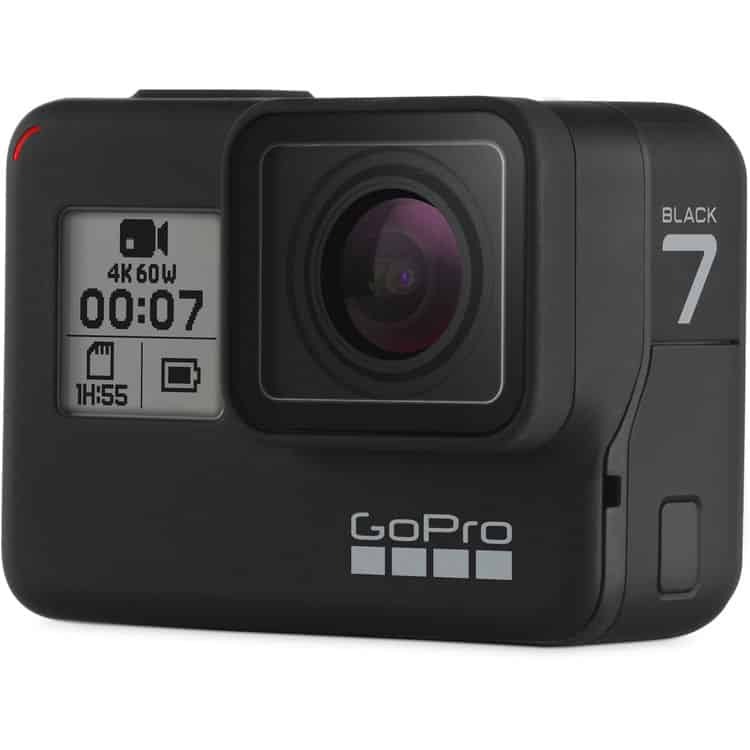 GoPro Hero 7 will be available in black, white, and silver colors. The design looks virtually identical to that of the Hero 6, which itself wasn’t a major diversion from the Hero 5. Also, only the black model will come with a display on the front, while the white and silver will not. There’s still plenty we won’t know about the Hero 7 until more leaks arise or the announcement is made, but it doesn’t appear to be a game changer. When it comes to wireless microphone technology, Sennheiser are the creme de la creme. The Sennheiser Evolution Wireless G4 is the fourth generation in a line of wireless microphone systems and is being touted as a worthy upgrade from previous generations. This is because it builds upon the strengths of its predecessor, the EW-G3, which was lauded for its massive success. Sennheiser decided to release the line of G4 wireless microphones in 2018, the 20th anniversary of the Evolution Wireless systems. The new line of gadgets promises a broader transmission range, quicker setup time, higher quality sound and longer working time. The line of Evolution Wireless G4 microphones includes four models namely the 100 Series, 300 Series, 500 Series and the IEM Series. Sennheiser were focused on designing models that are suited for a particular use, and in the case of the G4 100 series video production and broadcasting is the specialty. It comes in an all-in-one system just like the EW-G3 and other fourth generation wireless microphones but features a fast setup time and simple interface. This system has strong but light aluminum housing, a LCD display for configuration, an Escape button and Blue Sync LED. A G3 rackmount is part of the set and can support up to 12 devices using daisy-chaining. The G4 100 also has a new frequency allocation that reaches up to 12 receivers using a cutting-edge linking feature although it is compatible with 20 channels. It uses infrared for establishing wireless connection and the transmission range is 100 meters. You can tune up to 1680 frequencies in the UHF domain since the device has 42 MHz bandwidth. The G4 100 also boasts of RF output power of up to 30 mW and can scan for open frequency bands to use. Additionally the G4 100 has an operating time of 8 hours, has a signal-to-noise ratio of 110dBA and both the transmitter and receiver use 2xAA batteries. The Evolution Wireless G4 300 Series on the other hand is best suited for on-stage music performances. A lot of features make this a viable option, the biggest being multi-channel capabilities. It is capable of producing 88 MHz bandwidth and has a total of 32 channels. The RF output power is adjustable and can be set at 10, 30 and 50 mW according to the size of the hall or theatre and/ or local regulations. Just like the 100 Series, the G4 300 is sporting a white design. Body pack transmitters have moisture protection for increased durability while the receivers are fitted with an OLED display, a user-friendly jog wheel and automatic dimming feature. Compatible with wireless equipment used for G1, G2 and G3 like the rest of G4 wireless systems. Although the Evolution Wireless G4 500 series is similar in design to the G4 300 with OLED display and full-metal aluminum housing, it has more features that make it stand out. It is best suited for the professional sound engineer who wants to produce remarkable sound for high-profile events with a large setting e.g. a concert. The 500 series is also appropriate for large film production since it has a high RF output of 50 mW. Wireless synchronization is simplified by infrared that is used to create the link between the transmitter and the receiver. Similarities with the 300 Series don’t end here as this unit also has a bandwidth of 88 MHz and a range of 32 channels. However, the range of frequencies to choose from in a UHF range is higher at 3520 frequencies since the 500 series is intended for handling multiple channels. Another perk is the Ethernet connection included in the unit that enables access to the Wireless Systems Manager (WSM). The WSM is a program used for high level frequency management that is useful in a multi-channel setup. Sennheiser EW G4 500 can continuously operate for 8 hours and has a plug-on transmitter powered by Phantom power. IEM stands for In-Ear Monitoring and it is a great fit for talks, seminars, lectures and other gigs that you may want to spruce up and avoid boring the audience. The Sennheiser G4 IEM comes with a half-rack transmitter with full metal housing and an OLED display. Transmission can reach 100 meters with a relatively high RF output of 50 mW that is adjustable to 10, 30 and 50 mW. You can fast sync wireless devices by holding the components against a backlit infrared IR area which is extremely easy to do. G4 IEM can work with WSM software to control the frequency. The device has only 16 compatible channels and produces 42 MHz bandwidth that is sourced from 1680 frequencies in the UHF bracket. With these features, the IEM unit is leaning close to the G4 100 Series with the only major difference being the in-ear device. IEM doesn’t share the white body design with the other three wireless systems and it has a gray finish.